An interview of Grace Hartigan conducted 1979 May 10, by Julia Link Haifley, at the artist’s studio, in Baltimore, Md., for the Archives of American Art. No one was selling any work then, understand that. All these things that you know about now. I could tell you story after story. 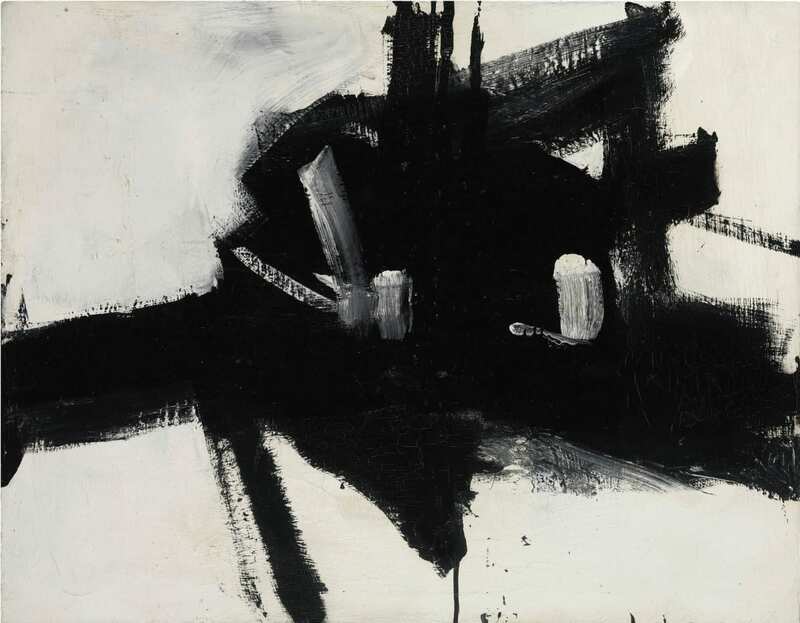 We went to each others’ studios, and one time Franz Kline was in my studio. He didn’t have any money to pay his rent, but he had a collector who was going to meet him by a bank, but Franz didn’t have any money for the subway. So I cashed in some soda bottles for the subway, to meet the collector to get the money to pay his rent. It was that rough. Elaine and Bill de Kooning would climb out on the fire escape to avoid the landlord pounding on the door when the rent was due. (laughter) That was still in the early ’50s, ’52, ’53. The late ’40s into the early ’50s. Another one, this I told Phil, I told Franz one time that Larry Rivers and I would go to the Metropolitan together and we’d trade. I said, “Well, I’ll spend 15 minutes in the English landscape room with you if you’ll spend 15 minutes in the Spanish room with me.” Franz said, “Hm, English landscape. Yeah, you know how it is when you’re walking in the country and you’re looking at your feet and it begins to rain, and you bump into somebody and you say, “Excuse me,” and that person says, “Oh, no, excuse me.” Well, that’s English landscape painting.” Isn’t that marvelous? One time, Tom Hess was doing an Art News Annual on Bonnard. He called all the artists for statements about Bonnard. I said, “I don’t have a thought in my head about Bonnard so I’m not going to give you a statement.” But Franz said, “Bonnard, hm. The woman could never get out of the bathtub.” The only artist that I didn’t meet in New York ever was Clyfford Still. I met Clyfford Still when I moved to Baltimore because Clyfford Still was – and still is – in Maryland. Did you know that? Franz’s black and whites came because he did a drawing of a rocking chair and I think Bill or someone else had a strange projecting machine where you could project a small drawing on a big scale – you put in a drawing on this machine and you project it on the wall in large scale. Franz saw this small drawing of a rocking chair, black and white drawing, projected it eight feet high, and he suddenly got this idea of what a fantastic painting that would be, just do that on that scale. And that’s why he did it. It just came out of that drawing. It had nothing to do with death. So I think to read into things – now I think with Rothko when we’re talking about the retrospective, I don’t think that the plums and browns were death, I think that was like the mature Rembrandt, that great glow of the mature artist in the autumn time. We know that maybe after autumn comes the leaves are going to drop, but autumn is lingering and beautiful. And we see Rothko’s late things, grey and black, those late things of Rothko, he’d lost his spirit. But the black and whites of Franz and de Kooning are filled with vitality. So I think to approximate those things psychoanalytically is really reading it too simplistically. I think possibly that my daring to be more subtle is a sign of maturity. I don’t have to prove that I have to be clamorous and throw all the colors in and prove I can do that. Maybe I’m just arrogant. I’ve earned the right to be subtle in my mature years. That might have something to do with it. I think that just seems interesting. Posted in Interviews, Painting and tagged Chicago Art Institute, Franz Kline, Grace Hartigan, Interview, Julia Link Haifley, Painting.